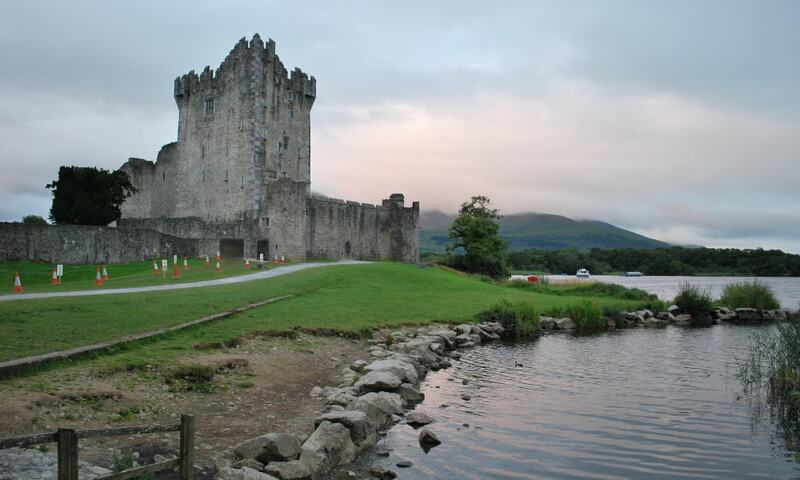 Ross Castle is a 15th-century tower house and keep on the edge of Lough Leane, in Killarney National Park. It is the ancestral home of the O'Donoghue clan, though it is better known for its association with the Brownes of Killarney who owned the castle until more recently. There is a legend that O'Donoghue leaped or was sucked out of the window of the grand chamber at the top of the castle and disappeared into the waters of the lake along with his horse, his table and his library. It is said that O'Donoghue now lives in a great palace at the bottom of the lake where he keeps a close eye on everything that he sees.